First post of 2017 – First update of FABC in this new year! Anyways, I have major news for you all today. As you know there was an update pending for FairyABC and it finally happened today! It was taking longer than usual but, it was worth it. 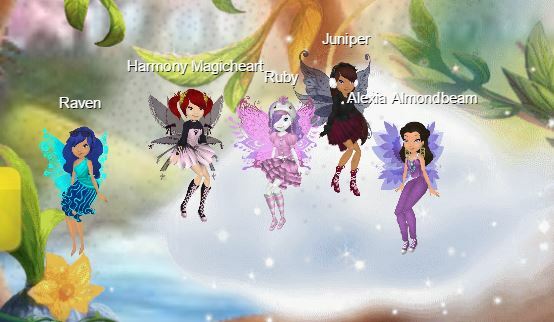 This update brings the winter in Pixie Hollow and also a new set of wings! That’s right…new wings. They’re apparently from the Chinese Pixie Hollow – as we refer to it – the game with pixies similar to our Hollow from China. Now, a little heads up is in order here: The game is glitchy – very glitchy. To see the update you’ll need to enter the game completely like in a meadow and all and then refresh. 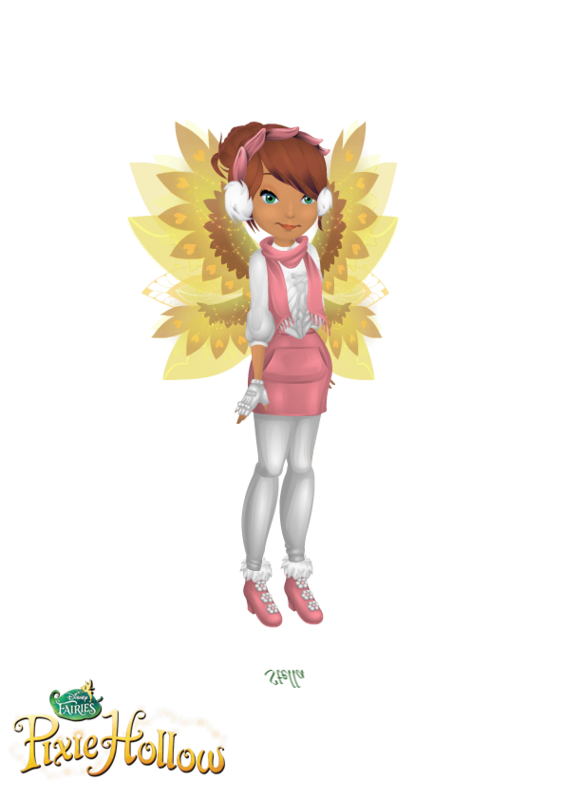 The new wings you’re about to see here on a fairy of mine are located in Bella’s Baubles ( aka Schelly’s Hair Salon – yeah the names still are a bit off lol ) in Palm Tree Cove under the Wings section as usual. Also, as I mentioned previously there’s snow in Havendish Square now – the Halloween decor is gone throughout the entire Hollow and don’t mind the minor mix-ups with the images in some e.g. 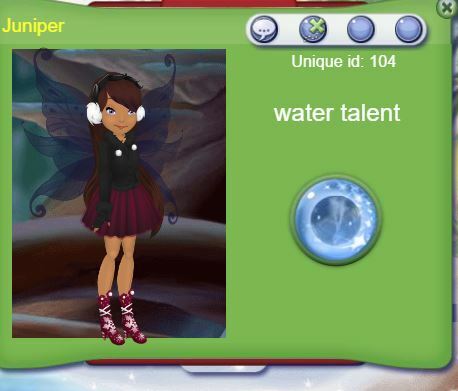 Treetop Bend with the Clover Celebration banner – I’ve informed one of the creators and she said they used a wrong picture by mistake and it’ll probably be fixed in some next update. Anyways, this picture is the current look of Havendish Square ( also another heads up – the Ballroom’s a little off as well but don’t mind it it’ll also probably be fixed sometime soon ). 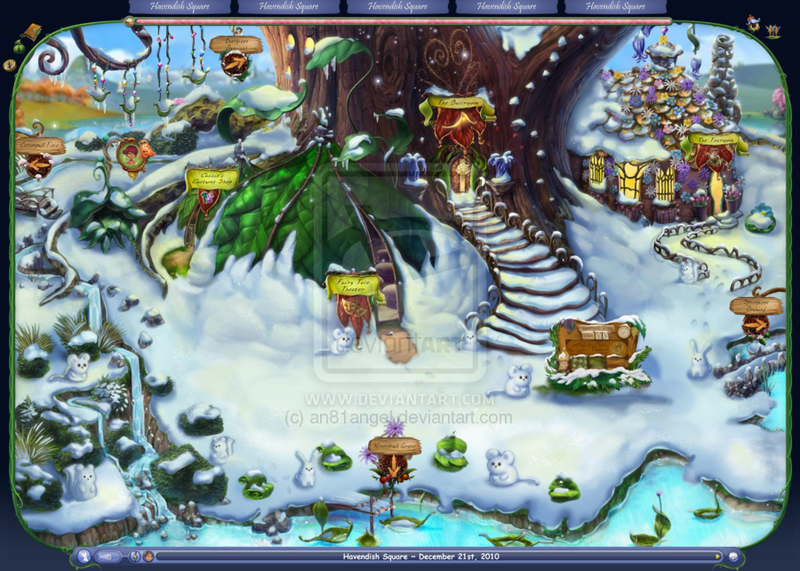 This is just an old picture I found just now, but this is what the main gathering spot in the Hollow looks like right now minus Kit’s place, Cassie’s & the Pixie Postings. Everything else you’ve seen so far is still there. Also, you might notice some of the shops’ names are slightly over the name spot ( the green leaf banners) but it’s okay they’re still clickable so you could enter everywhere available. This update doesn’t include anything else like no new clothes or anything just this – but even this is more than enough right? Anyways, they also relocated to a new server which means they won’t have to worry about the bandwidth running low as much as they did on the old one. It’s apparently a way better server. Well, that’s about it, thanks for reading and for those of you who celebrated Christmas like myself this weekend – have a Merry Christmas & happy holidays from The Pixie Diaries & the owner – me! Keep those new wings flappin’!